Jageer Palace is a comfortable hotel located in Mansarovar Garden, Ring Road, Delhi. The stay has a great advantage when it comes to location as it is surrounded by the best Delhi has to offer. The location is close to the very popular Rajouri Garden. 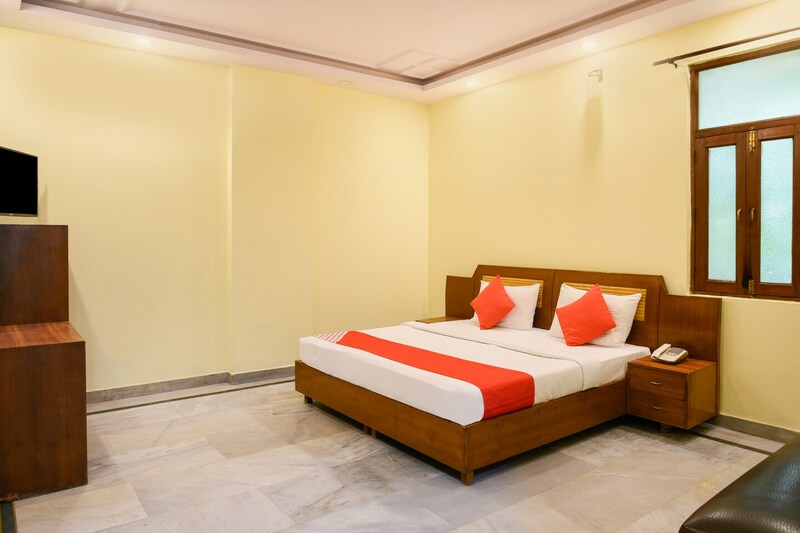 The hotel is situated close to the popular Shitla Mata Mandir which is a must for tourists. The hotel provides a free breakfast and offers a seating area for guests to meet and chat. It also includes amenities like free Wifi, AC, TV, kitchen, power back up, and laundry. It also has a dining area and CCTV security services.The hotel is close PVR Naraina and PVR Pacific Mall for shopaholics and movie buffs. It is also close to quite a few restaurants like Dee the Baker and Shudh Vaishno.